The current lot of 30 cal ammo cans we are offering are the cleanest, military-spec, 30cal surplus ammo cans available, and at prices much lower than new! We have sold thousands of these cans and received outstanding feedback and repeat purchases. 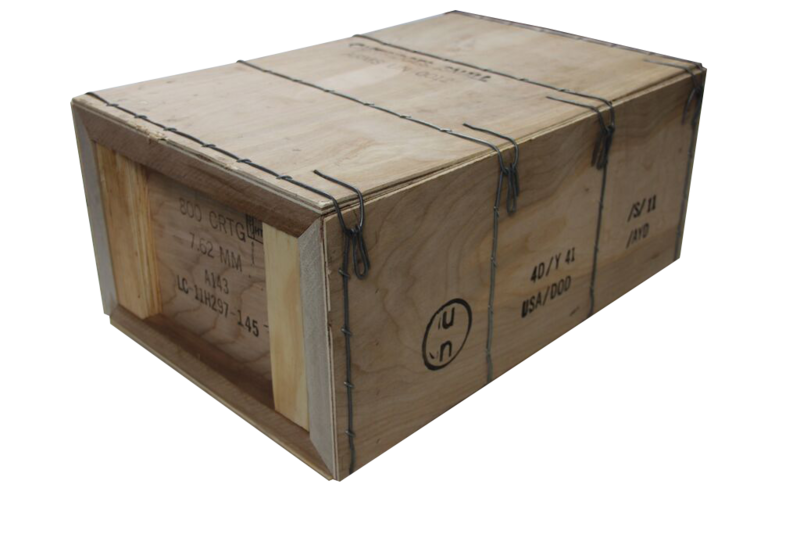 Our high quality, "once-opened" surplus ammo cans are acquired in like-new condition and are the only M19A1 30cal ammo cans available in the original military wood ammunition crates. 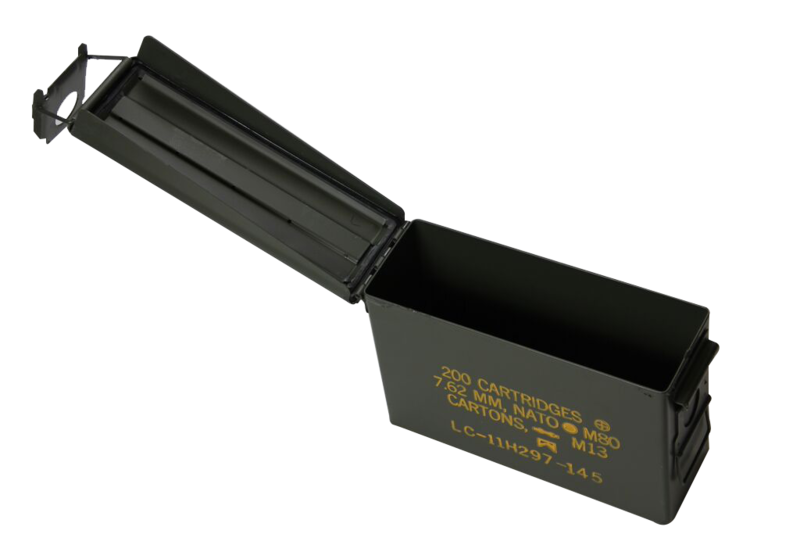 Get the same high quality, Made in the USA, steel ammo cans the military uses, but in better condition than the actual military surplus ammo cans sold at government auction. 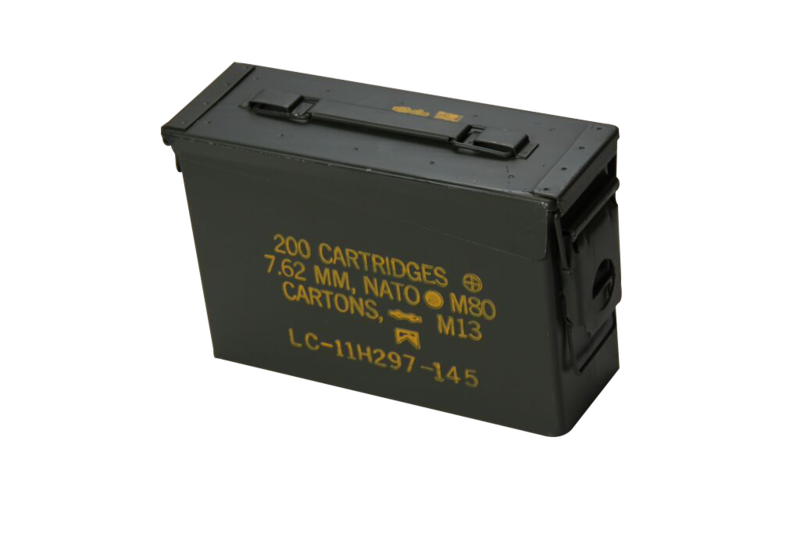 Each 30 cal M19A1 ammo can is labeled for 200rds of M80 "ball" 7.62mm ammunition in yellow stenciled type or the current white digital lettering. 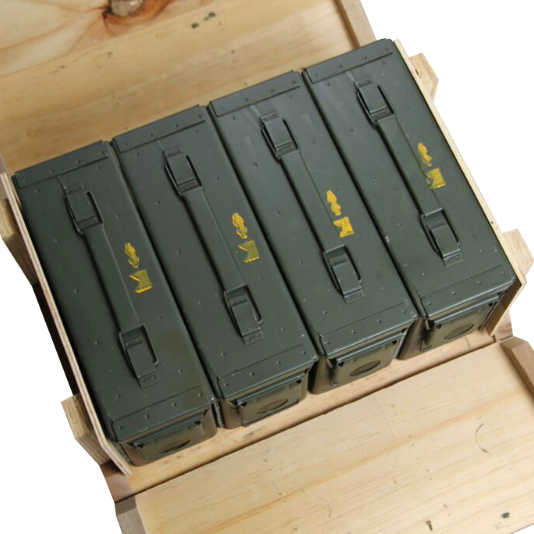 Appearance of the ammo crates and cans may vary based on production lot, manufacturer and the various types of wood that are used to construct the ammo crates. 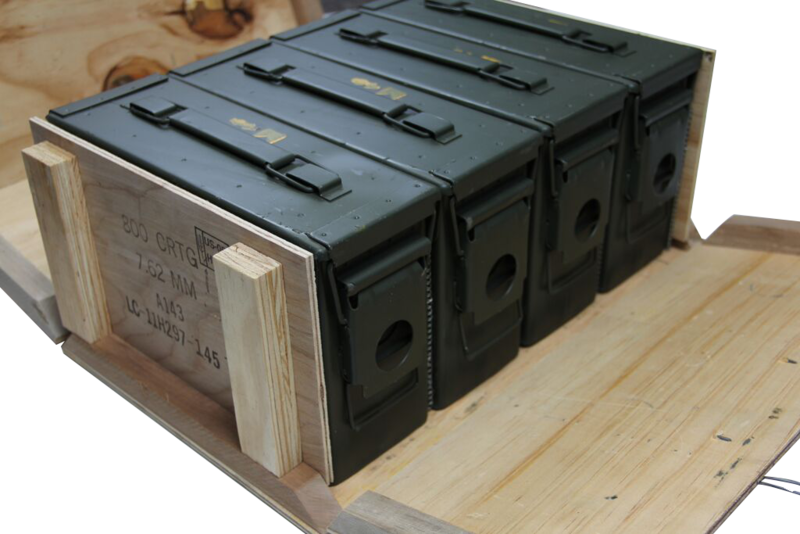 Each crate of ammo cans is individually packaged in a cardboard box to prevent damage to the crate during shipping. Some of the cans may have minor cosmetic scuffs from jostling around inside the crate during shipping, but otherwise are like new. 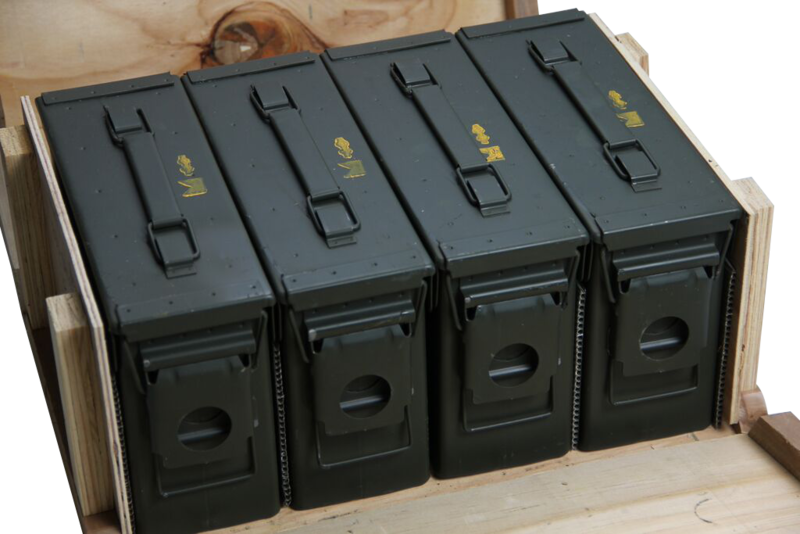 The 30 cal size ammo cans are the perfect size for transporting ammo and shooting supplies to the range. 30 cal ammo cans can fit enough ammo for high round count training sessions, but are much lighter than a loaded 50 cal ammo can. Ammo cans are ideal low-cost, waterproof, long-term storage containers, are an excellent foundation for do-it-yourself projects, and make great tool boxes. I was so pleased with my first order of 12 .30 cal ammo cans (3 cases of 4) that I placed another order for 12 more (3 cases of 4). I have sent pictures of my first shipment to friends and encouraged them to order from your company. Some companies make you guess as to what you might receive, grades 1, 2, or 3. These ammo cans were better than the grade 1 described by other companies. If you want the best, order them from Clean Ammo Cans. When the order arrived I knew instantly I ordered the wrong ammo cans. I sent Cole an email explaining my mistake. He emailed a UPS sticker so I could return the cans. He then sent the cans I wanted; the 50 cal cans. As a former manager of a gun shop I had ordered hundreds of ammo cans from many different sources. The cans from Cleanammocans are by far the best and the cleanest I have ever seen. 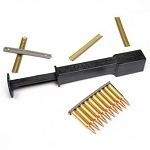 If you want the best ammo cans order from Cleanammocans.